All Gardens homes currently listed for sale in Gilbert as of 04/19/2019 are shown below. You can change the search criteria at any time by pressing the 'Change Search' button below. 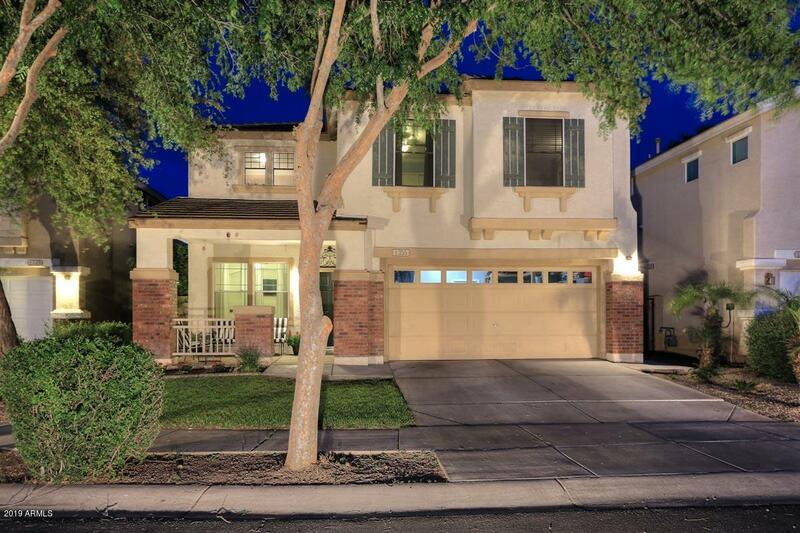 "Well maintained home in highly desirable The Gardens community. Open Kitchen/family room with downstairs bath and separate den/office. Lots of nice upgrades done. Downstairs has laminate floors throughout, 7.5'' baseboards throughout home (except upstairs hallway and master bdrm). New interior painting in 2018. Crown molding throughout. Nest Thermostat. Kitchen boasts New Granite counter tops installed May 2018. Downstairs bath updated in Aug 2018. Large upstairs Laundry. Epoxy garage floors "